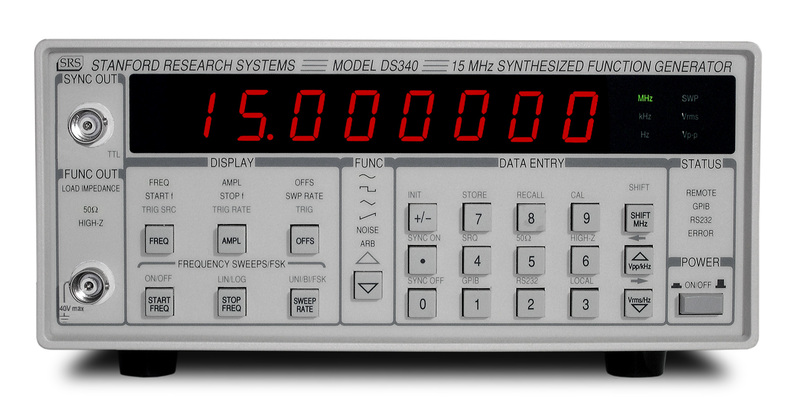 Up to 16,300 arbitrary waveform points can be downloaded to the DS340's waveform memory via the optional GPIB or RS-232 interfaces. PC software is provided for for composing, editing and downloading arbitrary waveforms. The waveform memory can be played back at rates up to 40 Msamples/s. 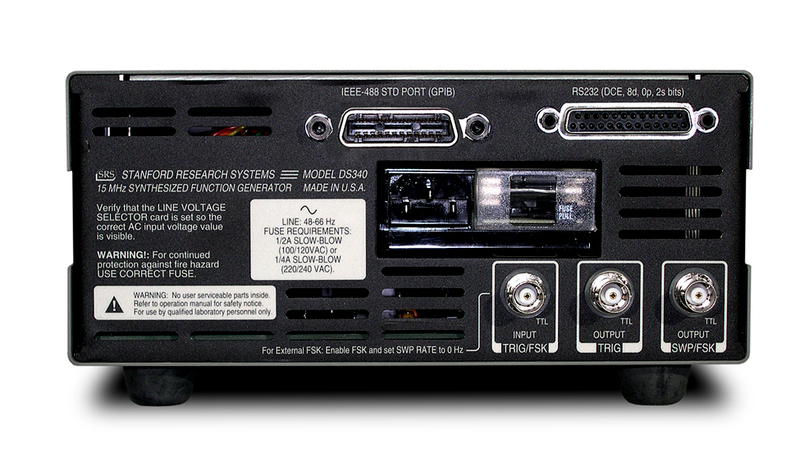 Interfaces Optional RS-232 and GPIB with DOS based arbitrary waveform software (AWC). All instrument functions can be controlled over interfaces.